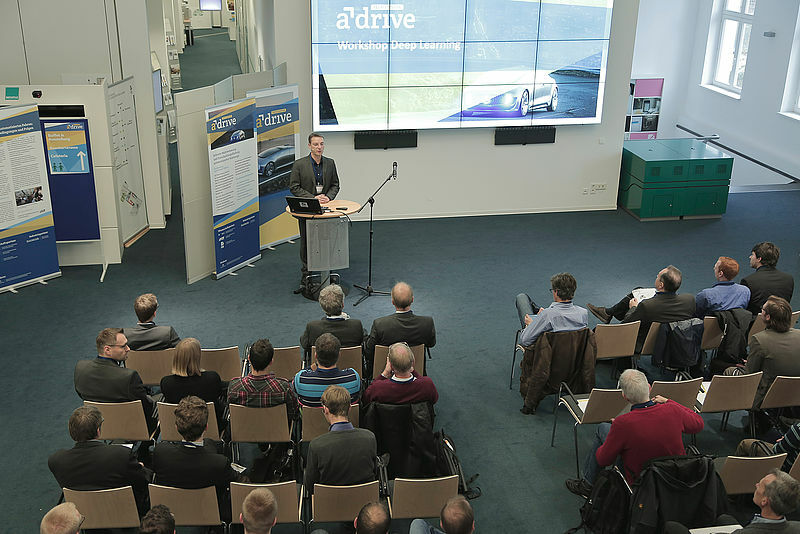 The Tech Center a-drive research project is technically coordinated by the EICT and, as part of their ongoing activities holds regular workshops organized by our experts on current topics in the field of automated driving. This years’ workshop is on one of the most important and most discussed topic – the securing of automated driving functions. Conventional securing processes will not be sufficient in the foreseeable future to verify the complex automated driving functions. The workshop will discuss the current problems and challenges for safeguarding and new approaches to automated driving functions. Additionally the Tech Center a-drive and the progress of the ongoing project will be presented. The workshop will take place on November 14, 2018 at the FZI Forschungszentrum Informatik, Haid-und-Neu-Str. 5a, 76131 Karlsruhe. You can register online at https://www.xing-events.com/TCa-drive. Please note that the workshop will be in German. You can find more information on the Tech Center a-drive and the workshop at: http://www.tcadrive.de.